This is awarded to the most intrepid of warriors for their history of successful attacks against other kingdoms. With it comes the reputation of planning and winning many attacks on other undeserving kingdoms. Once kingdoms hear of this dedication they will tremble with fear. Known throughout the kingdom for their unrelenting attacks and dogged battle stamina, those awarded the Slayer achievement are held in high esteem by all who bear steel. Do not trifle with the Vanquisher, for those marked by this attack achievement are known to eviscerate their enemies with glee. Those that hold this achievement are some of the most resourceful of kingdoms. 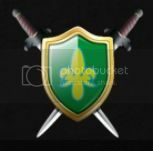 By successfully sending scouts and assessing the powerlessness of their enemies; kingdoms with the scout achievement have gathered information on many enemy kingdoms. These kingdoms are a wealth of information. Paramount to his clan's victories, the scout honoured as Lookout is prized for his keen eye and unwavering vigilance. This achievement is awarded to the most dubious of kingdoms. The receiver is known for their cunning and mischievous attack on nearby kingdoms. It is only after significant successful thefts that one is awarded this honor. These shadowy thieves seem to possess a sixth sense for their enemies' movements. Attempting to cross them is futile. Distinguished by their effortless manoeuvres, thieves who bear the Swindler title are known for their dark skills of deception. Kingdoms that receive the assassin achievement are among the most ruthless in all the land. Their bloodthirsty assassins devastate helpless kingdoms. This achievement is only awarded after multiple successful assassination attempts on their enemies. Besides his loyal clansmen, the merciless Cutthroat has few friends...yet even fewer enemies. Cold and calculating in their advances, those who bear the Executioner title are rightly feared by all who cross their path. This achievement is awarded to the few kingdoms capable of building unassailable defenses. Would-be invaders are consistently repelled from these stalwart defenders. A kingdom is eligible for this achievement after significant successful attack defenses. This achievement is given to the top 3 clans in the 2012 Summer Wars. Congratulations to our winners. Awarded to soldiers who fought in the early Rancor Rituals. Level 1: Participated in the Preseason week of season 1 rancor wars. The higher the Rancor level, the higher the soldier's achievement. Level 1: Achieved a 1-14 rancor level at the end of season 1 rancor wars. Level 2: Achieved a 15-29 rancor level at the end of season 1 rancor wars. Level 3: Achieved a 30-39 rancor level at the end of season 1 rancor wars. Level 4: Achieved a 40-49 rancor level at the end of season 1 rancor wars. Level 5: Achieved the max 50 rancor level at the end of season 1 rancor wars. Level 1: Achieved a 1-14 rancor level at the end of season 2 rancor wars. Level 2: Achieved a 15-29 rancor level at the end of season 2 rancor wars. Level 3: Achieved a 30-39 rancor level at the end of season 2 rancor wars. Level 4: Achieved a 40-49 rancor level at the end of season 2 rancor wars. Level 5: Achieved the max 50 rancor level at the end of season 2 rancor wars. The best players collected fangs during the exclusive Fiendish Fang Halloween event. Level 1: Obtained more than 699 fiendish fangs. Level 2: Obtained more than 1799 fiendish fangs. Level 3: Obtained more than 4499 fiendish fangs. Level 4: Obtained more than 11999 fiendish fangs. Level 5: Obtained more than 34999 fiendish fangs. Working together players participated in Epic Battles and Wars in search of the migrating Ice Moths. Level 1: Obtained more than 1000 Ice moths. Level 2: Obtained more than 4000 Ice moths. Level 3: Obtained more than 8000 Ice moths. Level 4: Obtained more than 17000 Ice moths. 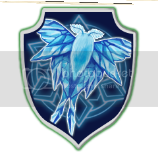 Level 5: Obtained more than 40000 Ice moths. Level 1: Achieved a 1-14 rancor level at the end of season 3 rancor wars. Level 2: Achieved a 15-29 rancor level at the end of season 3 rancor wars. Level 3: Achieved a 30-39 rancor level at the end of season 3 rancor wars. Level 4: Achieved a 40-49 rancor level at the end of season 3 rancor wars. Level 5: Achieved the max 50 rancor level at the end of season 3 rancor wars. Awarded to soldiers who waged Epic Battles and Wars in search of elusive quetzal feathers. Level 1: Gathered at least 2,000 Quetzal Feathers in the 2014 spring event. Level 2: Gathered at least 5,000 Quetzal Feathers in the 2014 spring event. Level 3: Gathered at least 16,000 Quetzal Feathers in the 2014 spring event. Level 4: Gathered at least 34,000 Quetzal Feathers in the 2014 spring event. Level 5: Gathered at least 80,000 Quetzal Feathers in the 2014 spring event. Awarded to soldiers who waged Epic Battles and Wars in search of precious dragon eggs. Level 1: Collected at least 100 Dragon Eggs in the 2014 Dragon Melee event. Level 2: Collected at least 500 Dragon Eggs in the 2014 Dragon Melee event. Level 3: Collected at least 1,000 Dragon Eggs in the 2014 Dragon Melee event. Level 4: Collected at least 1,500 Dragon Eggs in the 2014 Dragon Melee event. Level 5: Collected at least 2,000 Dragon Eggs in the 2014 Dragon Melee event. Level 1: Collected at least 2,500 Dragon Eggs in the 2014 Dragon Melee event. Level 2: Collected at least 3,000 Dragon Eggs in the 2014 Dragon Melee event. Level 3: Collected at least 3,500 Dragon Eggs in the 2014 Dragon Melee event. Level 4: Collected at least 4,000 Dragon Eggs in the 2014 Dragon Melee event. Level 5: Collected at least 4,500 Dragon Eggs in the 2014 Dragon Melee event. Level 1: Placed in the top 5,000 Dragon Egg collectors in the 2014 Dragon Melee event. Level 2: Placed in the top 1,000 Dragon Egg collectors in the 2014 Dragon Melee event. 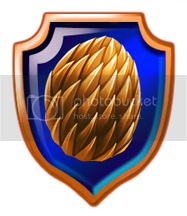 Level 3: Placed in the top 100 Dragon Egg collectors in the 2014 Dragon Melee event. Level 4: Placed in the top 50 Dragon Egg collectors in the 2014 Dragon Melee event. Level 5: Placed in the top 10 Dragon Egg collectors in the 2014 Dragon Melee event. Last edited by Resilience on Jun 25 2014, 1:09pm, edited 3 times in total. 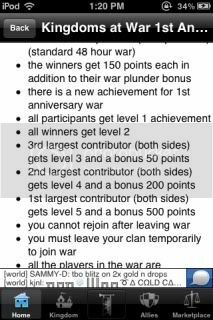 Call to arms level 3 is 8 ref players. Level 5 is 20. HF, and anniversary, most of community achievements. One small problem though; you forgot the level 4 resurrection achievement. Unicornis wrote: HF, and anniversary, most of community achievements. I'm not sure what you're talking about. SS would help. Tree EBs give plus 1% to spy attack and spy defense. Dragons - plus 1% to attack and defense. Scorpions - plus 1% to spy attack and spy defense.